The charity behind a unique new school where parents go to class with their children says it is already having a dramatic impact on improving pupils' mental health. Sky News has been given access to the school, which is run by the Anna Freud Centre in North London, ahead of a visit by the Duchess of Cambridge today. The Family School focuses as much on a child's mental health as teaching them traditional subjects. Mums and dads sit in on lessons, but also go to their own classes to learn how they can more effectively support their children. Most pupils will only spend a couple of terms at the school. Wayne Llewllyn's son is now ready to go back into mainstream school. He told Sky News: "Before he came here he was very aggressive, very outspoken and challenged everything. "Things happen at home that can affect a child's learning at school and sometimes parents can be wearing blinkers and blind to that sort of thing, because you may have other children. "I have another son who has ADHD, so we knew there were a lot of things we had to do, and this school has taught me to listen to my son a lot more and made me a better father for it." Now back to her royal duties after the birth of her daughter, the Duchess will be given a tour of the school. Kensington Palace says Kate wants to learn more about what is being done to help children currently being failed by mental health provision, and support vulnerable families. 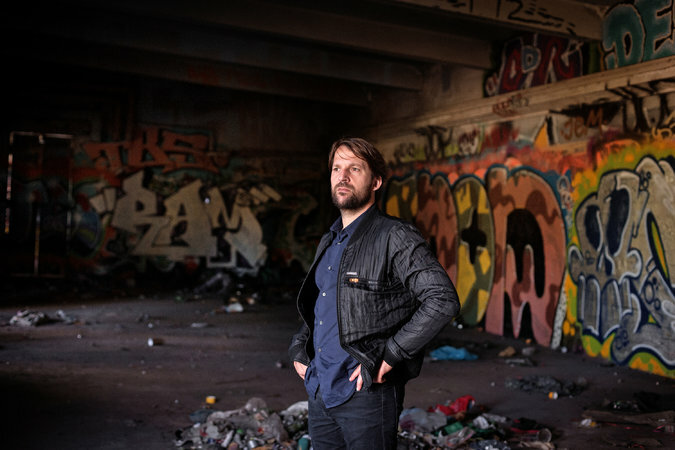 Mr. Redzepi, 37, the godfather of the New Nordic movement and the chef at Noma, arguably the world’s most influential restaurant at the moment, was standing outside what looked like an auditorium-size crack den. Used spray-paint cans lay in heaps amid the weeds of an abandoned lot. Street art covered the walls of an empty warehouse; inside, teenagers rumbled around on skateboards. World-class culinary destination? 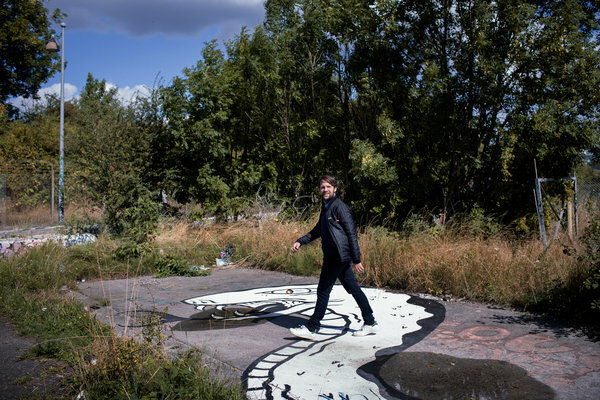 The site, right outside the ragged border of this city’s freewheeling Christiania neighborhood, seemed more like the Four Seasons after an apocalypse. But Mr. Redzepi envisioned something else as he climbed a staircase to a tar-papered roof and gazed out at a lake on the edge of the property. In what qualifies as a wildly risky roll of the dice, he plans to close Noma after a final service on New Year’s Eve in 2016. He hopes to reopen for business in 2017 with a new menu and a new mission. As a crucial part of that, he wants to transform this decrepit patch of land into a state-of-the-art urban farm, with Noma at its center. “It makes sense to do it here,” he said, despite visual evidence to the contrary. “It makes sense to have your own farm, as a restaurant of this caliber.” His plans are nothing if not ambitious. He will put a greenhouse on the roof. He will dig out the dank old asphalt lot and truck in fresh soil. He wants part of the farm to float. 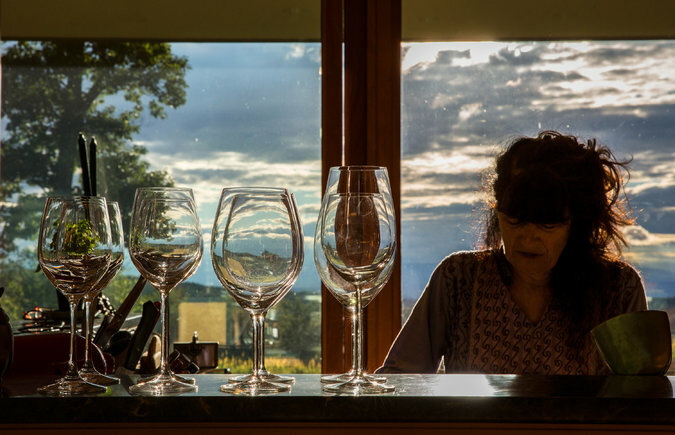 SPENCERTOWN, N.Y. — Ruth Reichl was in the kitchen she designed as both command center and comfort station, making a salami sandwich for her husband, Michael Singer, 75, a former CBS News producer who has been recovering from back surgery. “He has this thing from his childhood about salami,” she said, smearing a slice of ciabatta bread with Dijon mustard. This, now, is life for Ms. Reichl. At 67, she is softer, less anxious and, her friends say, a happier version of the cautious workaholic who was the food editor at The Los Angeles Times, the restaurant critic at The New York Times, a best-selling memoirist and, for a decade, the editor of Gourmet, the oldest food and wine magazine in America. She makes her husband three meals a day when she is not traveling. 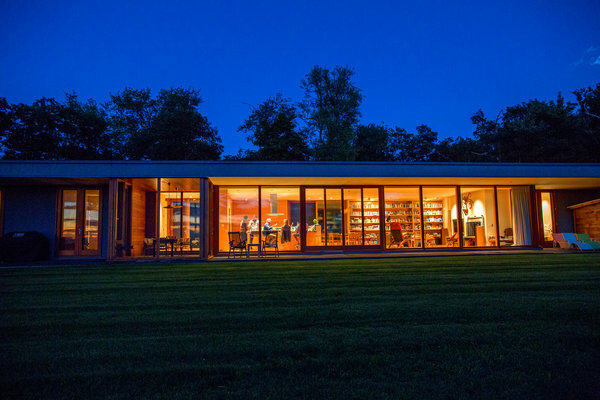 She writes in a little cabin set a few dozen paces behind the sleek house with glass walls that the couple built 11 years ago here on a shale plateau between the Hudson River and the Berkshires. And she cooks for just about anyone who walks in the door. In 2009, while she was in Seattle promoting a Gourmet cookbook, her horse was shot out from under her. 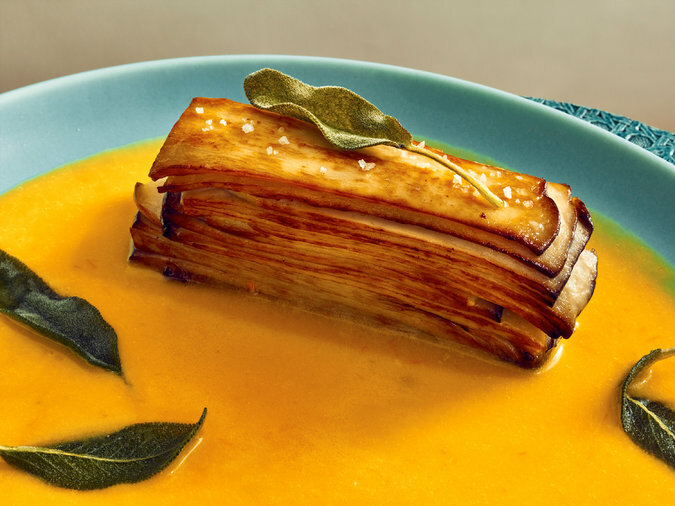 Without warning, Condé Nast closed Gourmet, after 69 years, on her watch. In as much time as it takes to peel a peach, she went from the top of the heap into free fall. No more Condé Nast salary, black cars at her beckoning and $30,000 budgets to shoot a Thanksgiving spread. Her carefully curated team of writers, designers and cooks, many of them close friends, were gone, off to find work elsewhere with varying degrees of success. Ms. Reichl, who often invokes her hippie bona fides, said she always knew she was a visitor in that world. It didn’t take her long to remember that one can get by just fine without those trappings. But getting dumped at 61? A 25-year-old man has been charged with murdering a woman and kidnapping her two children. The Express says thousands of people are signing up every day to a Eurosceptic group campaigning to leave the EU. Police have detected more than a dozen cases of gangs flying packages into prisons using drones. Labour's Jeremy Corbyn has been praised for taking a new approach and putting the public's questions to David Cameron during Prime Minister's Questions. Hull City FC owner Assem Allam will "bankroll" MPs who want to defect from Labour under Mr Corbyn. Bank of England governor Mark Carney has suggested Mr Corbyn's economic plans would "imperil" the UK economy and "hurt" the poor and elderly. The Archbishop of Canterbury is considering a radical shake-up of the worldwide Anglican church because of big differences over attitudes towards gay people. One of the victims of the Alton Towers rollercoaster crash, Victoria Balch, says it was a relief when her leg was amputated because she was in so much pain. The paper continues its campaign over a Royal Marine serving life for murdering a Taliban insurgent. It says a secret report shows he was "utterly failed" by senior officers. A woman describes how her life was "torn apart" after she was raped by her best friend's fiance. Prince Harry is back with ex-girlfriend Cressida Bonas, according to the Sun. :: Watch the Press Preview on Sky News every evening at 10.30pm and 11.30pm. Thursday's reviewers will be writer and psychotherapist Lucy Beresford and PR consultant George Pascoe-Watson. A convicted killer has ended his four-day protest on the roof of Strangeways prison. Stuart Horner, who was locked up in 2012 for killing his uncle, came down early on Wednesday morning. The 35-year-old gingerly made his way across the roof to a waiting cherry-picker on which he was lowered to the ground. He reportedly said: "I've proved my point. I've got a 12in pizza and a can of coke. I've done what I wanted. I've had a mad one." Horner began his protest on Sunday afternoon when he clambered over an 18ft fence to get on top of the high-security jail, officially known as HMP Manchester. At various times he stripped to his underpants, smashed window panes, kicked CCTV security cameras and and climbed on chimneys. He is believed to have caused thousands of pounds worth of damage. Horner is serving a minimum of 27 years for shooting dead his uncle, Ian Taylor, after a long-running family feud. On Monday negotiators went up in a cherry-picker crane in an effort to talk him down, but he refused. It is unclear exactly why he was protesting, although he yelled down to reporters about conditions at the jail. He also scrawled messages on his shirt. One said: "It's not 1990 tell the Gov we've all had enough. Sort the whole system." Another proclaimed his innocence. He also shouted he wanted to stay on the roof for 40 days and 40 nights to break a previous record. Crowds gathered below to watch Horner, who had food, water, cigarettes and blankets with him. Some yelled words of encouragement, as did his fellow inmates. The oceans, with more than 90% of the habitable space on Earth, still contain most of the life on our planet, but there's a lot less of it than there was just 45 years ago, according to a deeply dispiriting report from the World Wildlife Fund. The group, which surveyed 10,000 populations of more than 3,000 species, says marine life—including mammals and birds as well as fish—has declined by 49% between 1970 and 2012, the BBC reports. The WWF says humans have caused the decline in marine species through overfishing, destruction of habitats like seagrass beds and mangrove swamps, and through climate change, which has caused ocean acidification. Experts warn the latter could cause a "Great Dying" even worse than what has taken place over the last few decades. Some of the steepest declines were among fish caught for food, including tuna and mackerel, which are down almost 75%, the BBC reports. "In less than a human generation, we can see dramatic losses in ocean wildlife—they have declined by half—and their habitats have been degraded and destroyed," a WWF spokesman tells Discovery. "Driving all these trends are human actions: from overfishing and resource depletion, to coastal development and pollution, to the greenhouse gas emissions causing ocean acidification and warming." Not as much is known about deep-sea populations, though declining catches suggest they're also dropping fast, the Independent reports. Nose around for borscht recipes, and you’ll find that most classic hot borschts call for beef stock or a beef or veal shank to simmer along with the vegetables. 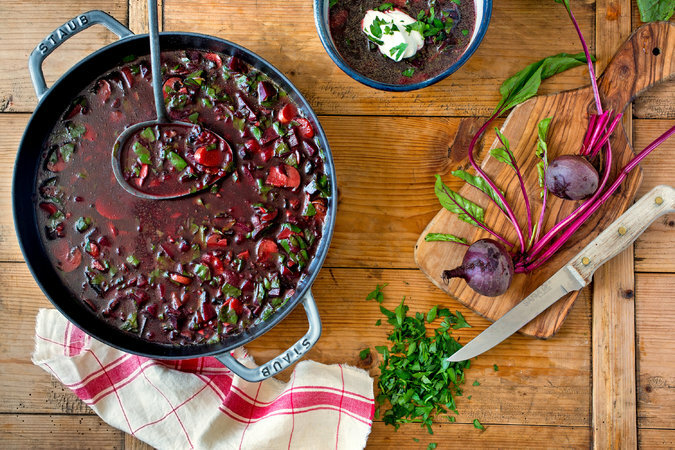 I wanted to make a lighter, vegetarian version of hot borscht. But I also wanted my soup to have the kind of depth of flavor that a meaty backdrop provides, without overpowering the winelike, heady flavor of the beets. So, as I often do when faced with this kind of challenge, I turned to mushrooms. I made a strong broth by soaking dried mushrooms, and combined that with a red-beet-and-garlic broth that was the result of simmering beets with sliced garlic for 30 minutes. I used shiitakes for my broth one time, and porcinis another. The shiitake broth is a bit lighter, with more of a mineral edge to it; I like them both. There are lots of fresh mushrooms in this soup as well. You can use regular white buttons or creminis. 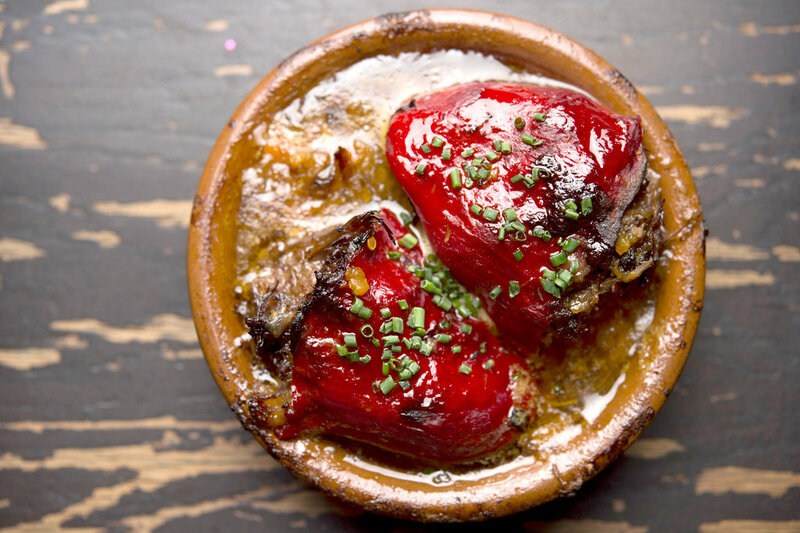 They’re sliced and cooked in olive oil with onion, carrots, celery and garlic, then simmered with the beets in the combined beet-and-mushroom broth. Make sure to buy your beets with the greens attached, the more generous the bunch the better, as you’ll be adding the leaves to the soup toward the end of its simmer, making it all the more heady, healthy and satisfying.